The Happy Stamper :): How Do You Take Your Coffee??? Grab your favorite beverage and check out this adorable Christmas card! The Merry Cafe Bundle is perfect for you and any coffee lover in your life. I especially love the cute little heart steaming out of the top of the cup! Now is the perfect time to order your supplies and casually begin making your own beautiful Christmas and holiday cards. 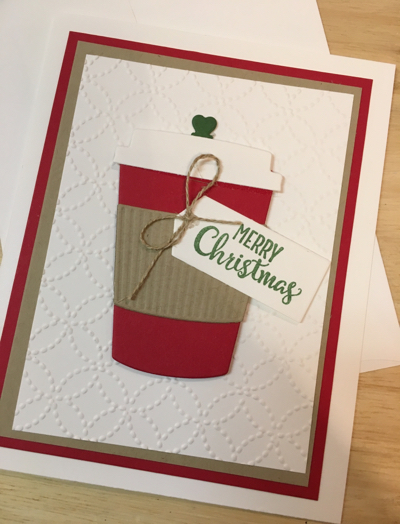 Labels: Christmas Cards , handmade , Merry Cafe , Stampin' Up!